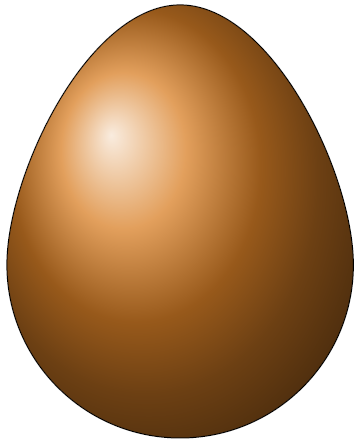 I would like to draw an egg-format element, but I have only found ways of drawing ellipses. Edit: a second version with better colors. Edit 1: I think this pudding is overegged. 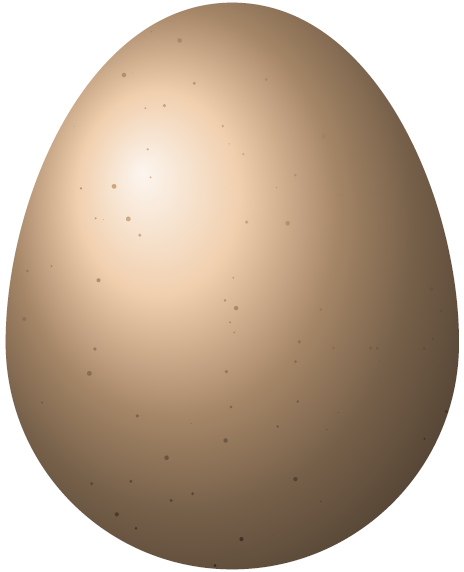 A quick fix for egreg's egg. Thank you MATLAB for running so slow. I've tried to find a dirt mask but couldn't find anything which would give a more realistic result. 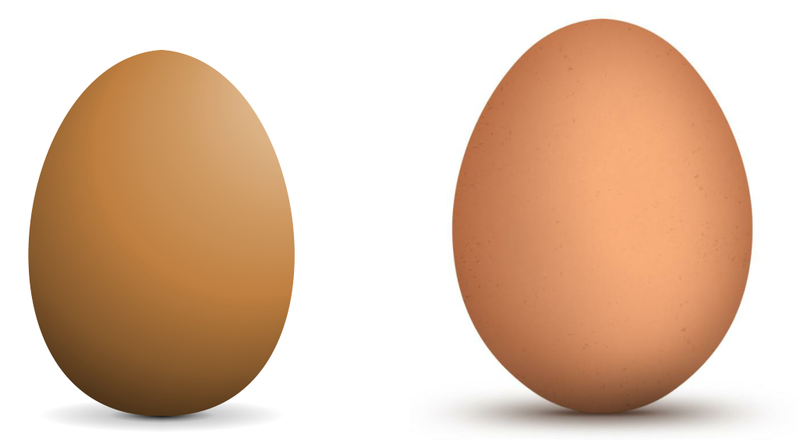 Also the shadow shading is a little off but the original render is also wrong. I'm joining late the party unfortunately... 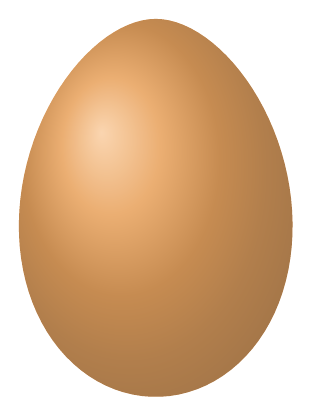 I noticed that the OP didn't specified of which animal we should draw the egg, thus my answer. 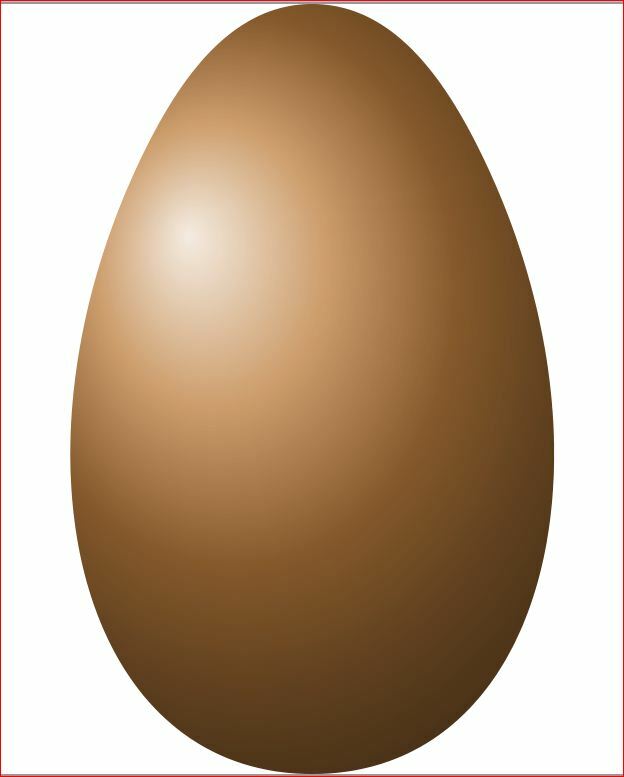 A broken egg with PSTricks. Update To show-off the hobby a little more, here's a second version. 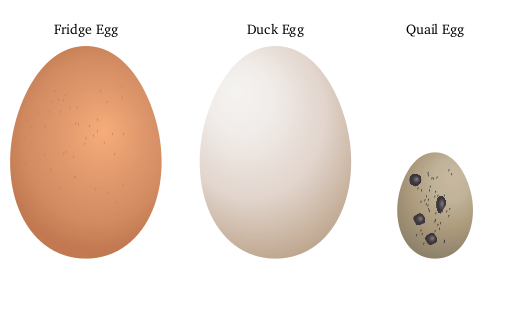 I took the egg that egreg linked to and found some points on its boundary then used those as the inputs to the Hobby algorithm. 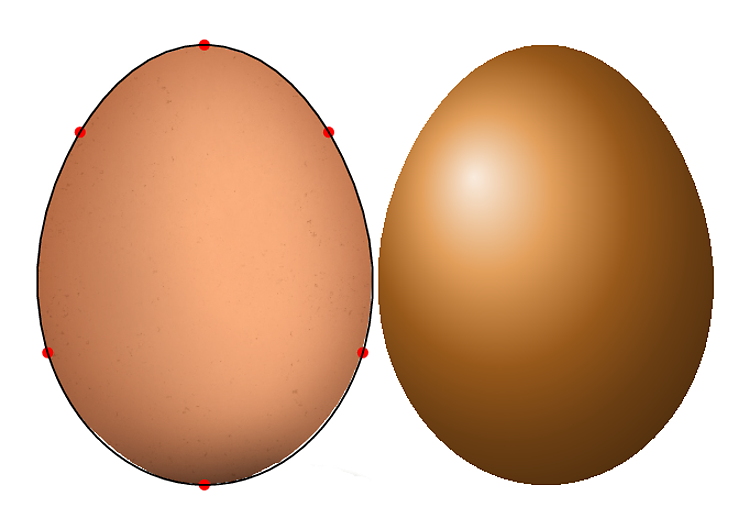 The left-hand egg is the original egg with the control points shown in red and the path shown in black. The right-hand egg is the same path shifted over and then filled with the same fill as in Tom Bombadill's answer (sans freckles). Maybe the exact shape needs some tweaking but the way to go should be clear. 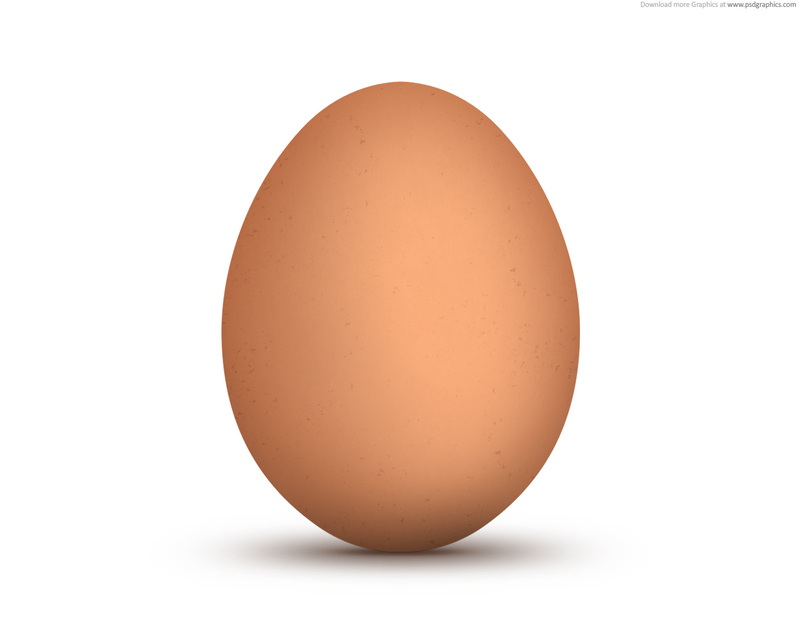 Sorry for be late to this egg party, but I think that is interesting to show you another way to draw an egg celebrating this New Year! 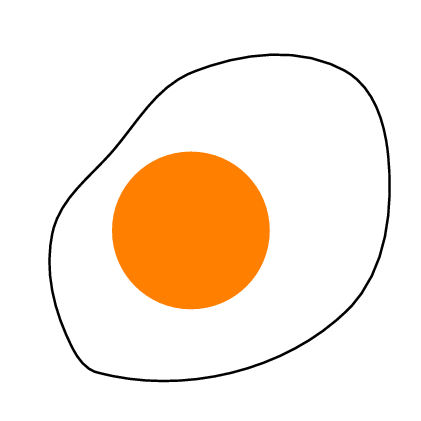 In order to reproduce the egg, I only draw a special closed polygonal that looks like a smooth curve: a "subdivision curve". A subdivision scheme is an iterative way to obtain curves or surfaces by mean of refinements of polygons or meshes in the respective cases. If you wish that the final polygonal (obtained in the last iteration) looks more smooth, you should consider make another iteration (e.g, a fourth iteration in this case). 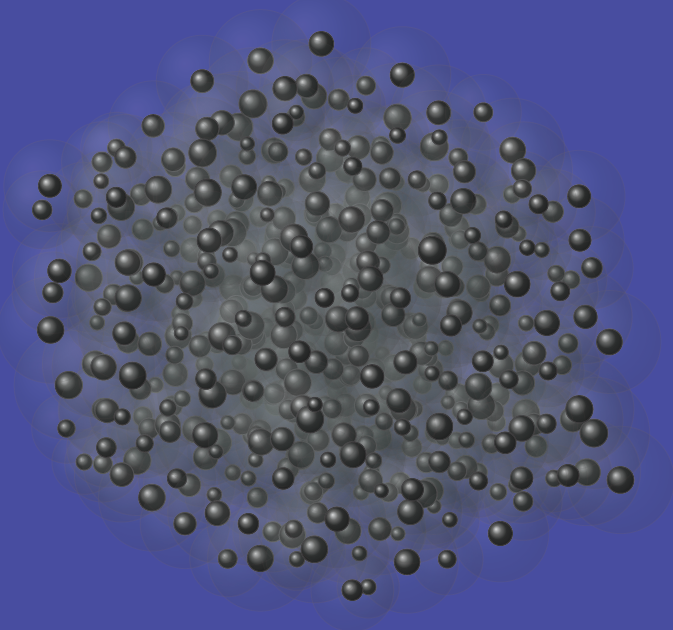 For this sketch, the subdivision scheme that I choose was the one to get a cubic B-Spline and only made 3 iterations. (By the way, thanks to everyone who help me in my question Using \foreach loop in Cubic B-spline curve refinement). 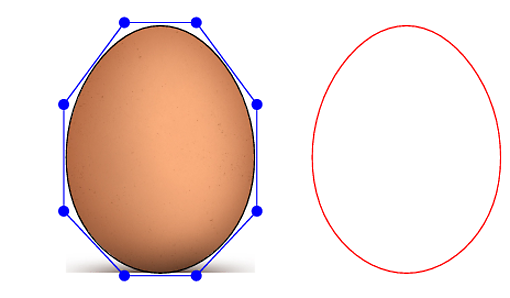 As @AndrewStacey, I took the egg that @egreg provided (left egg) and created a (symmetric) control polygon (blue points and blue polygon) as the inputs to the subdivision scheme that generates the egg in right side (the same as the black boundary in the egreg's egg). 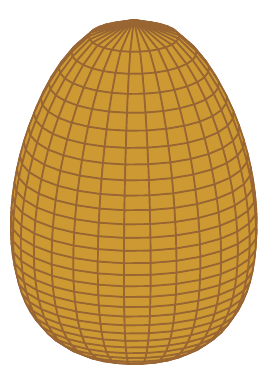 If you create a mesh as mesh of revolution of this control polygon and use it as input of the Catmull-Clark subdivision scheme for surface you will get the egg in 3D! Not the answer you're looking for? Browse other questions tagged tikz-pgf fun or ask your own question. Would using LaTeX instead of LibreOffice benefit me for writing my dissertation? Where in the world is tikzlibraryhobby.code.tex? How can we draw a Hannukah Menorah with decorations, using TikZ? How can I draw a *manual input* and *Multi-document* nodes in a flowchart using TiKz? 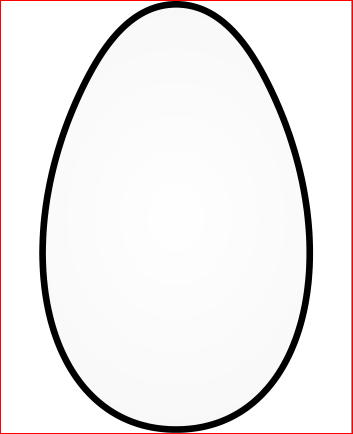 How can I draw an ellipse with a rainbow color? Draw ellipses with different coloring for their intersection in tikz? 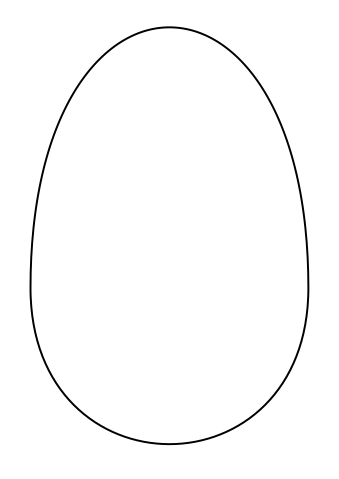 How to draw a truncated cone with tikz? How to draw the following diagram using tikz?